IAIP and CFA Institute India (CFAI) hosted CFA Charter Award and Felicitation Ceremony 2016 in Pune on November 12th 2016. On this occasion, Mini Charters were presented to the New Regular Members of IAIP and Candidates who have passed Level III in June 2016 were felicitated with a Memento. This event was an excellent opportunity to meet the IAIP & CFAI Leadership team viz. 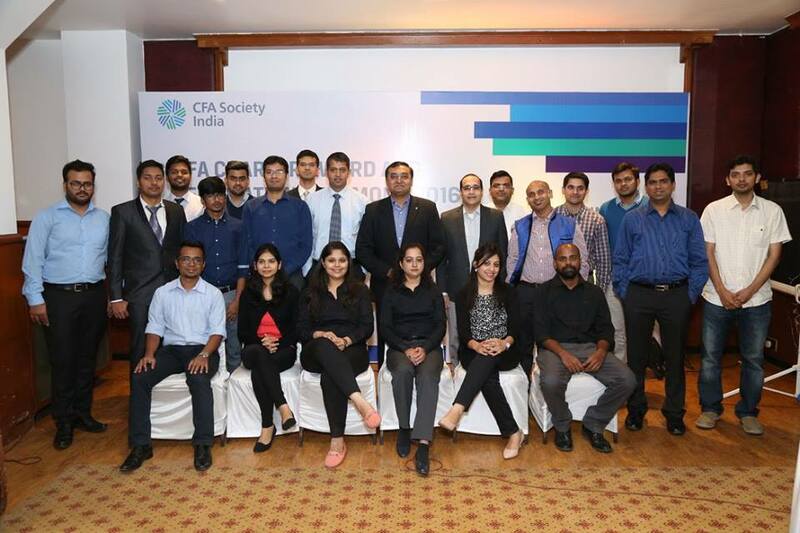 Jayesh Gandhi, CFA, President, IAIP, Shrinivas Kunte, CFA, Director Content, CFA Institute India, and senior members of the Pune chapter Umesh Kudalkar, CFA, Prashant Shah, CFA and Gaurav Sanghavi, CFA . It also provided a platform to network with other fellow members in the city. This entry was posted in Felicitation Ceremony and tagged CFA Institute, Gaurav Sanghavi CFA, IAIP, Indian Association of Investment Professionals, Jayesh Gandhi CFA, Prashant Shah CFA, Shreenivas Kunte CFA, Umesh Kudalkar CFA. Bookmark the permalink.